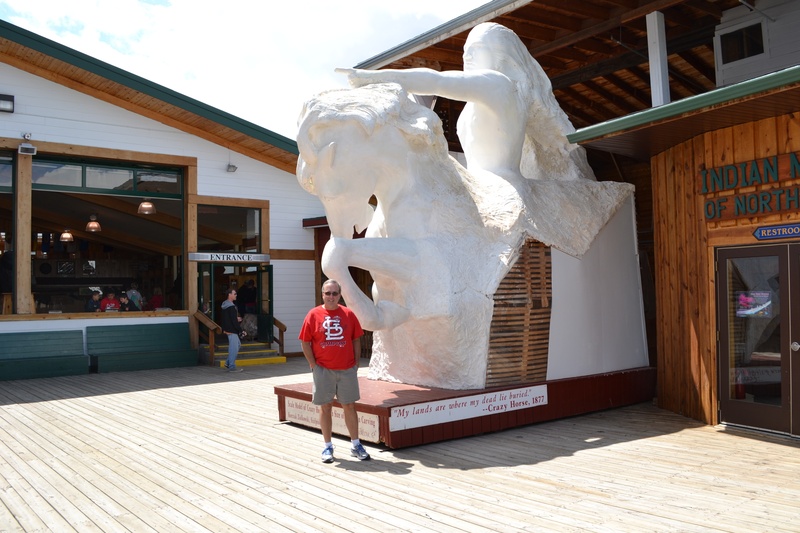 Today’s adventure took us to the southwest first to Mount Rushmore and later to the Crazy Horse Mountain at Custer (as in “George Armstrong Custer”). Mount Rushmore is a National Monument under the care of the National Park Service. It is surreal and very moving. And the science and craftmanship behind it is truly amazing. 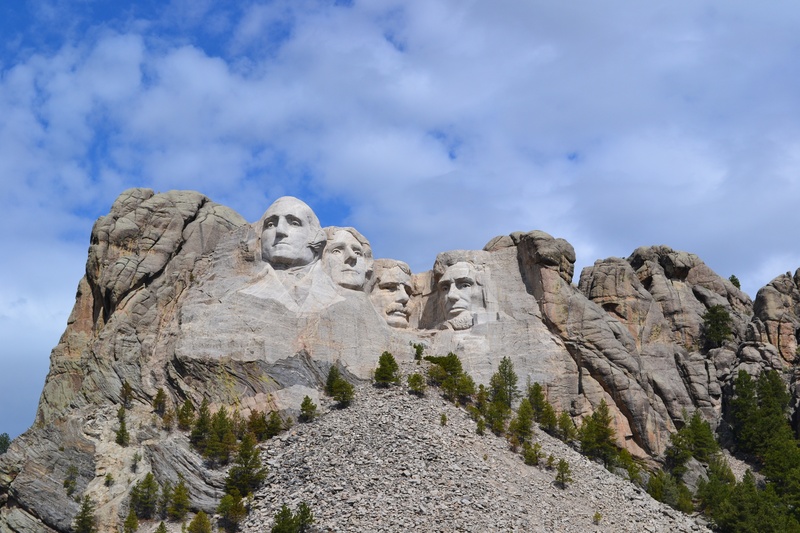 The four presidents whose faces are carved into that weird piece of granite represent the USA at strategic turning points in her history. Washington is the most fully featured. Teddy Roosevelt (who ranched in SD), the most personality. All important to who we are today. The faces appear before you enter the park. 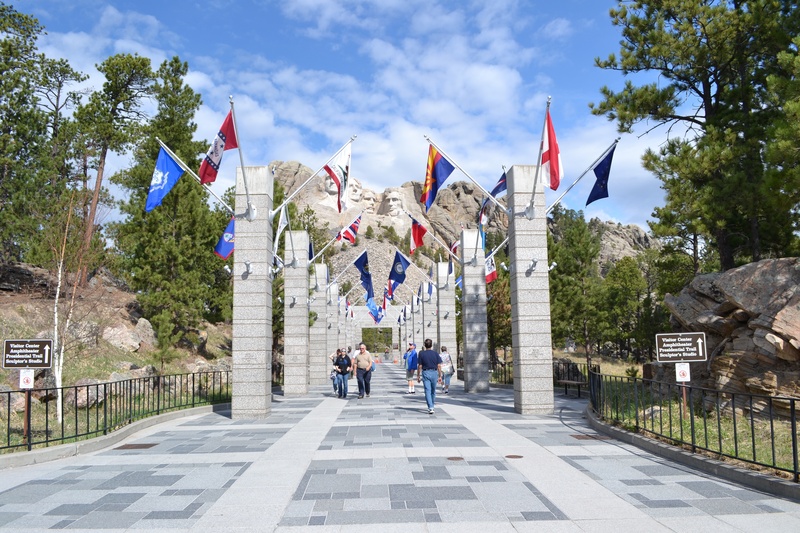 As you approach the viewing area, you walk through a plaza with state flags and flying above the state name and the date of their admission to the Union. We checked out the history surrounding the sculptor and walked the “Presidential Trail” which allows various perspectives of the carvings. 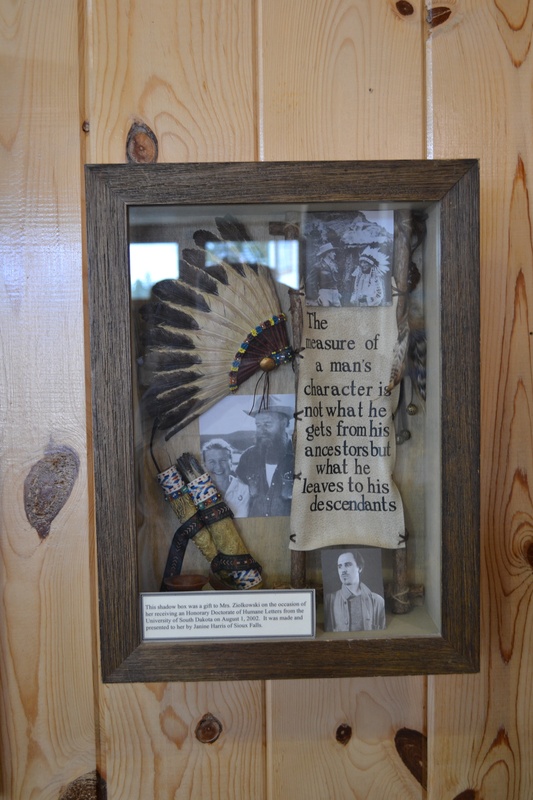 From there we went to the Crazy Horse Memorial. This project is not under the national or state government but is a non-profit. The sculpture is still actively in progress and our guess is that it will be for another 50+ years. It was fascinating. We talked to a Native American artist there who was making story telling bracelets and doing beautiful metal work. There was some rain today in the area. They desperately need it. The forests and prairies are a tinderbox. Tomorrow on to a little Cold War History and the Badlands.